Established in 2013, the CBCF Marketing and Communications Internship program is a year-long paid internship for current or recent college graduates interested in careers in communications. The internship will provide hands-on experience and exposure to marketing, graphic design, public and media relations activities. DOJ/OVW’s Campus Program Solicitation has been released! This program is authorized by 42 U.S.C. §14045b. Congress created the Grants to Reduce Sexual Assault, Domestic Violence, Dating Violence, and Stalking on Campus Program (hereinafter referred to as the Campus Program) in recognition of the unique issues and challenges that colleges and universities face in preventing and responding to sexual assault, domestic violence, dating violence and stalking. Notification: OVW anticipates notifying all applicants of funding decisions by October 1, 2017. The Center for Retirement Research at Boston College sponsors the annual Steven H. Sandell Grant Program for scholars in the field of retirement income and policy research. The program is funded by the U.S. Social Security Administration to provide opportunities for junior scholars or senior scholars in a new area from all academic disciplines to pursue cutting-edge projects on retirement income issues. · Up to five grants of $45,000 will be awarded for one-year projects. · Proposal guidelines are at http://crr.bc.edu/about-us/grant-programs/steven-h-sandell-grant-program-2/. · The submission deadline is January 31, 2017. The Center for Retirement Research at Boston College sponsors the annual Dissertation Fellowship Program in the field of retirement income and policy research. The program is funded by the U.S. Social Security Administration to provide funding opportunities for doctoral candidates from all academic disciplines to pursue cutting-edge research on retirement income issues. · Up to five fellowships of $28,000 will be awarded. 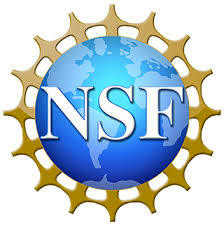 · Proposal guidelines are at http://crr.bc.edu/about-us/grant-programs/dissertation-fellowship-program-2/. The National Bureau for Economic Research (NBER), seeks applications for research projects that deepen our understanding of the mechanisms explaining geographic variation in the relationship between income and life expectancy in the United States, by using recently released statistics from the Health Inequality Project. In this call, with funding support from the Social Security Administration through the NBER Retirement Research Center, we encourage proposals that leverage the newly released data to better understand the reasons for the strong relationship between income and life expectancy, its geographic variability, and its implications for interventions and policy. · Faculty or faculty-student teams may request a total of up to $25,000. Graduate students may request a total of up to $12,500. · Proposal guidelines and details are at http://www.nber.org/programs/ag/funding.html. · The submission deadline is February 1, 2017. DOJ Grant Announcements for Law Enforcement and Criminal Justice Related Resources!! BJA welcomes applications under which two or more entities would carry out the federal award; however, only one entity may be the applicant. Any others must be proposed as subrecipients (“subgrantees”). The applicant must be the entity that would have primary responsibility for carrying out the award, including administering the funding and managing the entire Body-Worn Camera Policy and Implementation Program. Under this solicitation, only one application by any particular applicant entity will be considered. An entity may, however, be proposed as a subrecipient (“subgrantee”) in more than one application. Applicants must register with Grants.gov prior to submitting an application. All applications are due by 11:59 p.m. eastern time on February 2, 2017. Capacity Building Grants for U.S. Undergraduate Study Abroad! Study abroad is a transformative experience that provides young Americans with the skills and knowledge they need to contribute to a global society, solve global challenges, and compete in a global economy; however some U.S. Higher Education Institutions (HEIs) lack the capacity to offer this opportunity to undergraduate students. Webinar with the Federal Bureau of Investigation!! The White House Initiative on Historically Black Colleges and Universities (WHIHBCU) has been hosting a series of webinars to educate Historically Black Colleges and Universities on the grants and resources available to them throughout the federal government. On Tuesday, August 16, 2016 the initiative will co-host a webinar with the FBl’s Office of Partner Engagement (OPE) and DOJ’s Office of Justice Programs. OPE builds bridges, creates new partnerships, and strengthens and supports relationships with state, local, tribal, and campus law enforcement. OPE serves as the FBl’s primary liaison for the law enforcement community, representing the perspectives of chiefs, sheriffs, and law enforcement associations within the FBI. The OPE also manages outreach programs, including FBI support to state and local Fusion Centers, along with the Countering Violent Extremism, Active Shooter, and Police Executive Fellowship programs. The office implements national-level initiatives and strategies which support engagement, communication, coordination, and cooperation efforts with law enforcement, intelligence, and public agencies and partners in a continuous effort to enhance the FBl’s capabilities. The FBI plays a critical role in enforcing campus safety, public safety and providing other resources to HBCUs and Minority Serving Institutions. This webinar will highlight the FBl’s resources and support they provide for Historically Black Colleges and Universities (HBCUs). Attendees will gain an understanding of how their work, needs and research match available FBI opportunities.